There are many wonderful things that happened today, and a big one that is still to happen. Chloe & Simone spent the day together and visited Sacré Coeur, the Eiffel Tower, and the Moulin Rouge (they didn’t go in, or so they say). Melinda, Christine & Bernard have been together wandering/shopping about town. We all are about to head out to join Laurent, Frédérique and Romain for dinner. But the highlight very well has to be Ella’s experience at Le Cordon Bleu. 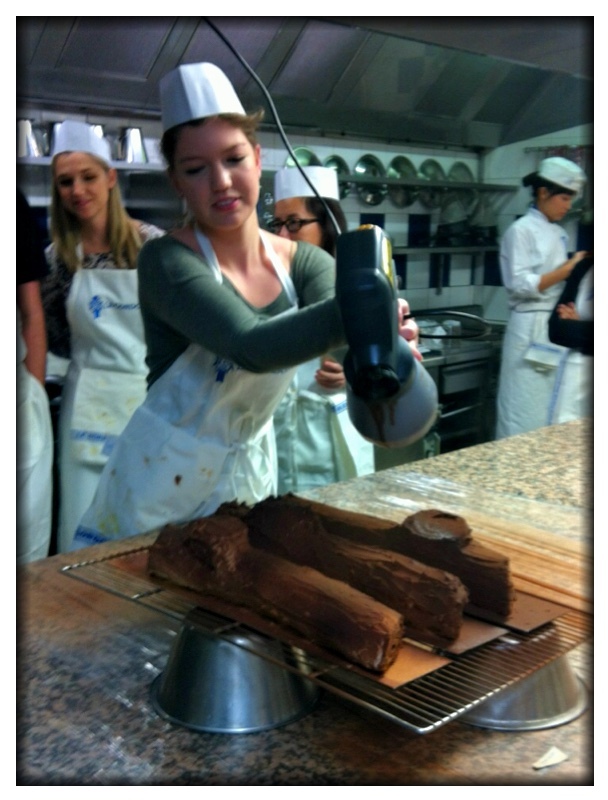 That’s right, as part of her birthday celebration, Melinda & I were able to get Ella signed up to attend a baking class at Le Cordon Bleu, the famous French cooking school here in Paris. There were just three spots remaining when we enrolled her, and all the other classes were filled. In other words, it was meant to be. Ella just returned to the apartment from her class with three baked goods in hand, two of which are super-fancy and have had to be put in the refrigerator. She also has a new “Le Cordon Bleu” apron, her chef’s hat, and a huge smile on her face. The class was 6 hours long, so she also came home tired. As time allows, I’ll try to post some other photos. For now, you’ll have to get by with this fabulous shot of Ella in her class.